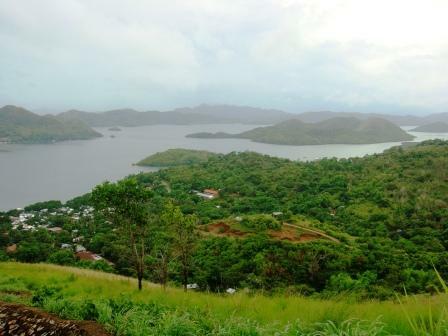 On our first day, we did not waste a single minute to explore Coron. Since our flight was delayed, Ms. Rina of Coron Wonders has been waiting for us in Coron Reef. 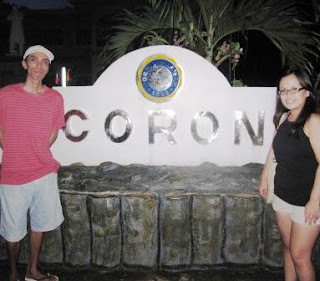 When our 2 other travel buddies arrived, we immediately started our Coron Inland Tour. This tricycle was our companion for the rest of the tour. It's amazing how this vehicle morphs into different looks in many parts of the Philippines. 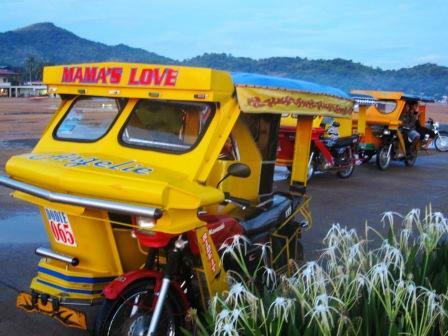 In Coron, there are no cabs, so tricycle is their main means of transportation. 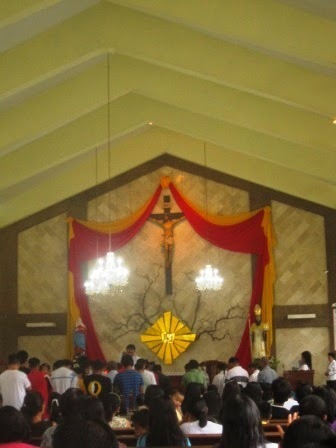 This church is just walking distance from Coron Reef. No need to hire a tricycle. However, this is not part of our tour package. 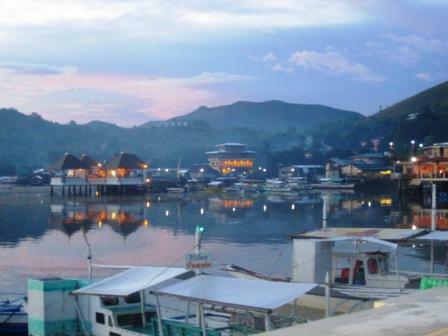 The first part of the Coron Inland package is a tour of the town's baywalk. 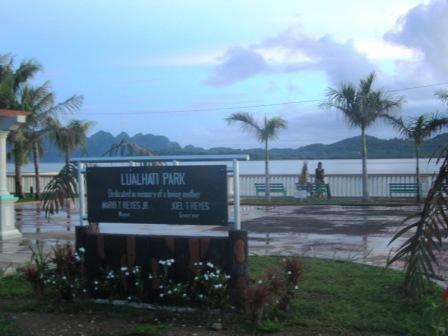 It is a reclamation area almost similar to the baywalk in Puerto Princesa City, Palawan. 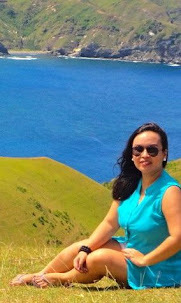 From here, you can see the islands and islets of Coron. This is also where public boats dock. See how near it is from Coron Reef and La Sirenetta? You can just walk from there and explore the public market. See the white building beside the public market? 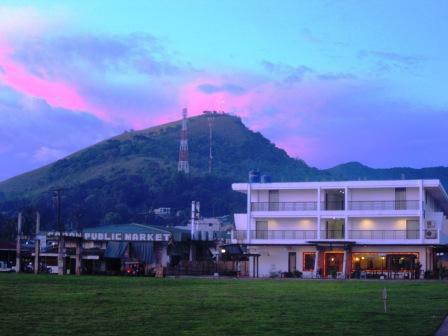 That's the premiere hotel, Coron Gateway. 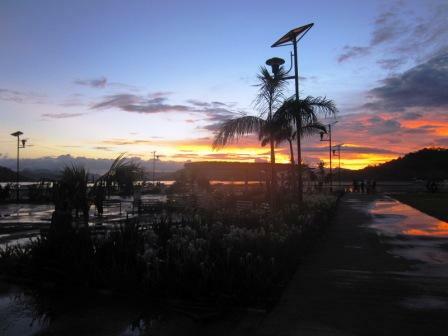 You can view the sunset from the baywalk. The next stop is the Municipal Hall of Coron, about 2 minutes away from baywalk. Palayok or claypot is Coron's symbol. 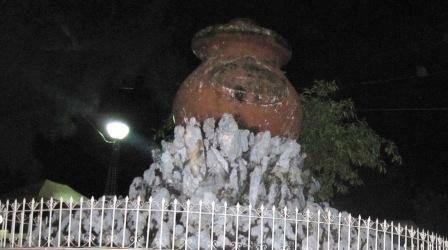 There's a giant one in front of the Municipal Hall, near Kawayanan Grill. We are supposed to head to Mt. 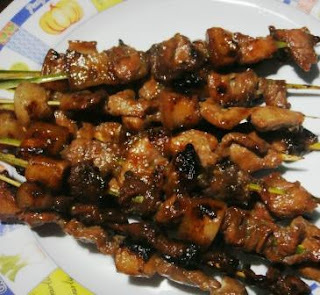 Tapyas after the baywalk tour. Since we started late, we did our Mt. Tapyas trekking on our last day. The journey begins here at Tapyas Road. 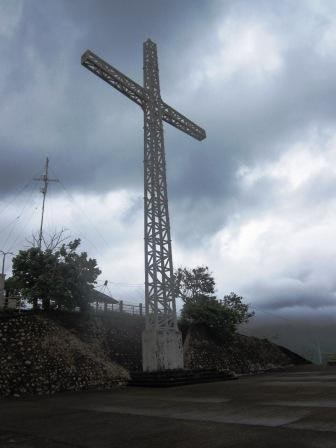 Update: Due to super typhoon Yolanda in November 8, 2013, the cross at the peak of Mt. Tapyas was ruined. Mt. 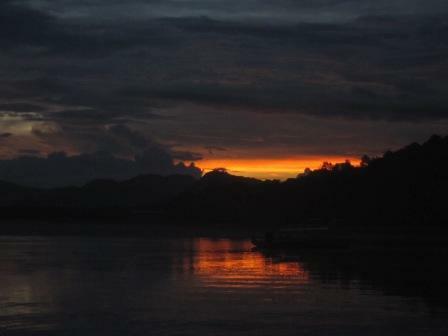 Tapyas is also walking distance from Coron Reef. 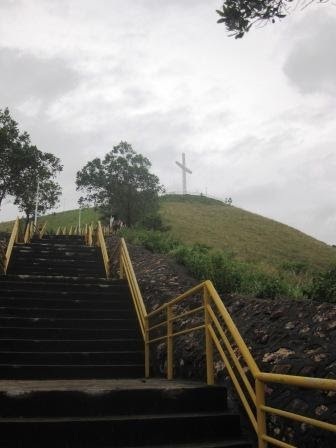 It has 700 steps towards a giant cross. The cross is lit at night. 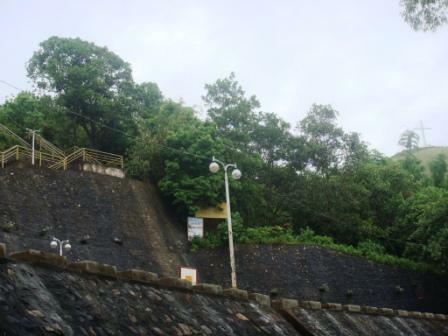 The steps are concrete so trekking here is easier than in Kayangan Lake. 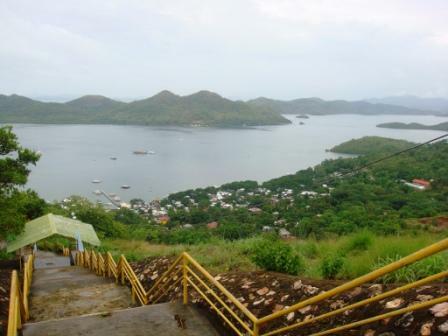 From the view deck, you will be able to see a top view of the Coron Islands. 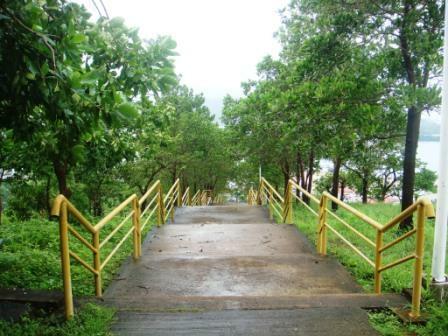 The stairs has waiting areas in between, so you can rest for awhile to catch your breath and take some photos of the islands. This view is just halfway the 700 steps. Finally! We reached the top and it's all worth it. Tip: bring your own water as water here is priced double. Ideally, after trekking in Mt. 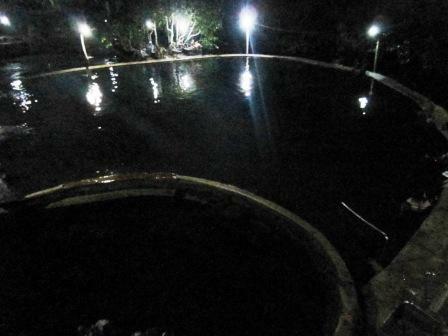 Tapyas, you will proceed to Maquinit Hot Springs. 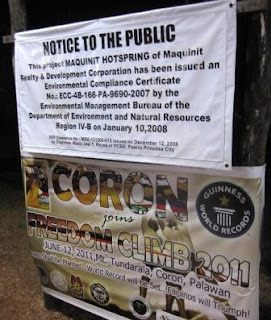 But since we did not went trekking during our first day, we went to Maquinit after our baywalk tour. 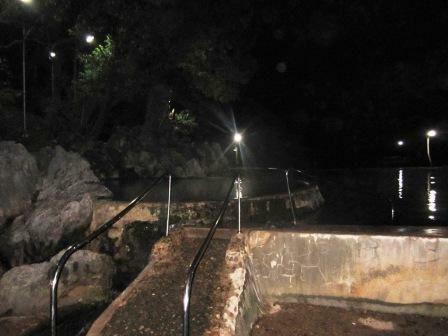 Maquinit Hot Springs accepts guests until 8pm but if you are already inside before 8pm, you can enjoy a hot dip until 10pm. The way to Maquinit Hot Springs is very steep. You will pass by dark uninhabited areas. We went here at around 6:30pm and went through a part where we cannot see a single light. A bit creepy. Water here is hot. And I mean really hot! If you have history of high blood pressure, this might not be a good idea as the temperature of the water here may cause surge in your blood pressure. Seriously. But this water is therepeutic for tired muscles. So it is really advisable to go here after trekking Mt. Tapyas. The water here is salty as it is a convergence of fresh and salt water. 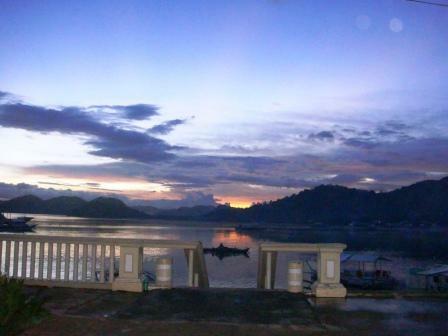 We had dinner in one of the cottages courtesy of Coron Wonders. 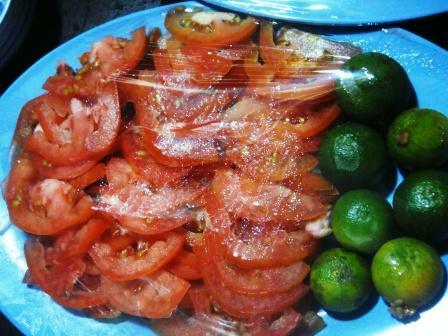 We had tomatoes, fried fish, barbeque and salted egg plus a bottle of cold Coke. 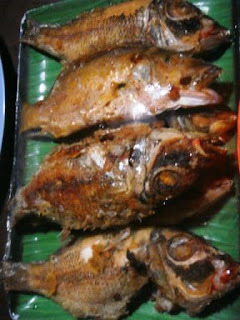 We went home passed 9 pm so that we can have enough rest for the next day's Malcapuya-Banana-Bulog Dos island hopping.